After being overcast for several days the sky over the UK was finally clear for two nights on 27th and 28th of August. However, things did not quite go to plan. 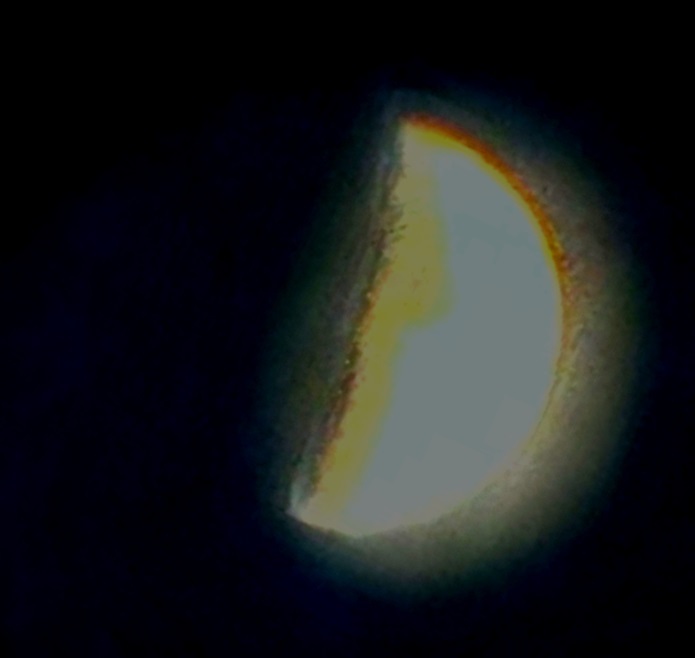 When the sky was still in bright twilight there was insufficient contrast to show any detail on the lunar surface and when the sky was completely dark the light sensor on my camera was totally oversaturated by the brightness of the moon. I don't think Digges had astrophotography in mind when he invented his proportional glass! 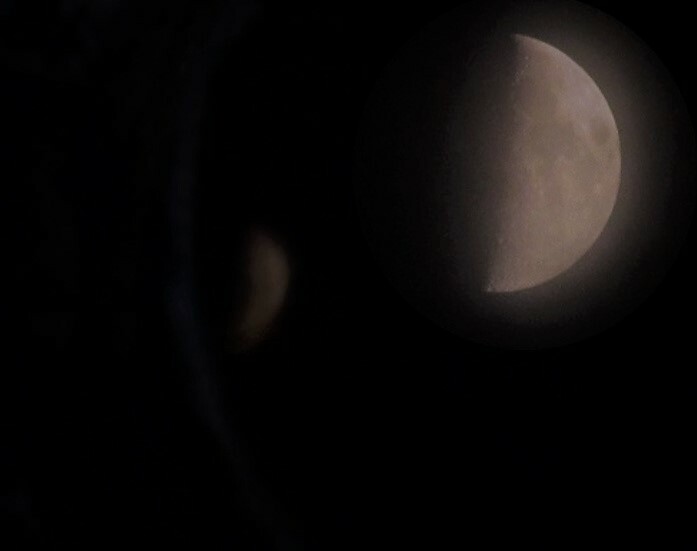 My first two attempts at lunar photography are shown below. One from the 27th and one from the 28th. The Moon in a dark sky. The lower photo is just starting to show some detail but its very hard to make out. However, like Robert the Bruce and the spider I decided to try again. Nicholas Dupont-Bloch has helpfully written a book all about lunar astrophotography called "Shoot the Moon". Although I am sure the author did not have the Tudor telescope in mind he does make some useful suggestions. The full moon is very bright so a filter helps. 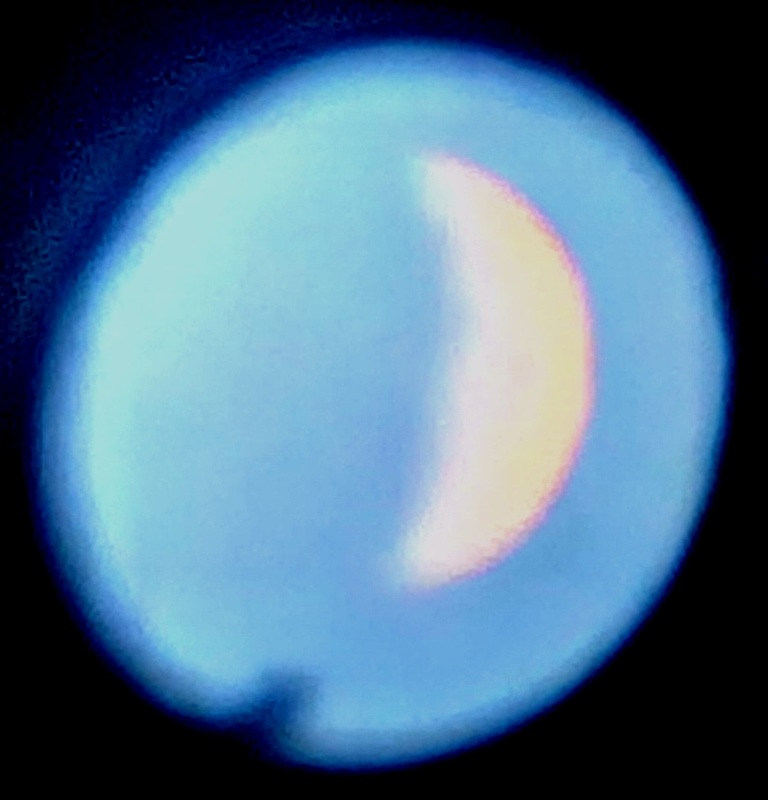 I attached a Celestron moon filter to my mobile phone camera with some adhesive tape which improved matters. Looking Backwards through a Tudor Telescope. Sheer persistence paid off in the end. After taking nearly 100 photographs I finally got a couple of good shots of the moon in the telescope mirror. The trick is to just get the right combination of background light and moon brightness. This is what the moon actually looked like down my telescope and what a Tudor astronomer might have possibly seen when using the Digges-Bourne telescope. gave a reasonable final image. 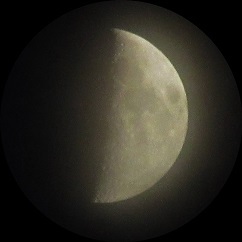 At this point my wife came out and pointed her Canon SX600HS at the moon and got the photo below in a single shot in a few seconds. My photo was 30KB, however, the Canon photo above was 1.5 MB and could be enlarged to show a great deal of detail on the lunar surface. If a Tudor astronomer had used a telescope of the Digges-Bourne configuration they would have seen the lunar maria (seas), some of the larger craters and the terminator. Galileo's telescope had a 30X magnification and Thomas Harriot's later telescope was 6X magnification so it will be interesting to compare their drawings of the lunar surface in another posting.